Technology is having a monumental impact on the business world of today, driving rapid innovation and growth. We are advancing by leaps and bounds in the areas of computing, data management and business automation. The number of applications and tools is constantly increasing, making business owners wonder where to turn. So, do you have a feeling that your business is not doing as well as it could? If the answer is yes, it is time to turn to tech frontier and brace yourself for a furious race. Your ability to innovate and adopt new solutions is the key to elevating productivity across the board and gaining a competitive edge. In recent years, technology is making big waves in the field of customer service. 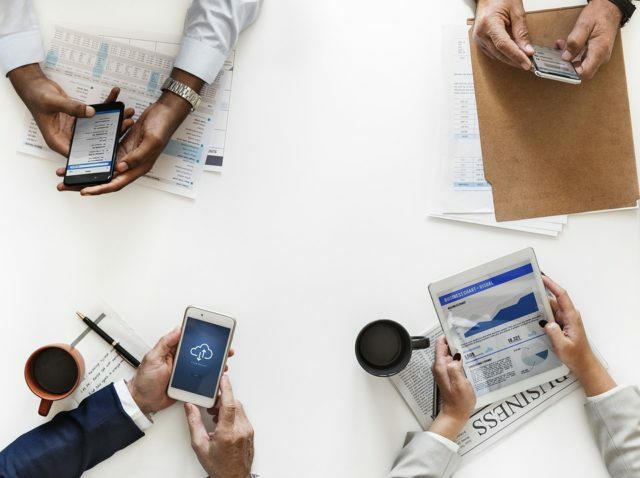 The way to capitalize on this trend is to integrate a CRM platform with devices employees use, via the internet, company portal, or custom solutions. This access to data and tools lets them rise to the challenges promptly and make informed decisions on the fly. The more you know about customers, the better you are equipped to stay on top of their wants and needs. The result is great customer satisfaction and more sales revenue. People wait less time for their problems to be solved and questions to be answered. We are doing business in a lively knowledge economy. Jobs can be performed from anywhere and at any time. Investing in a robust and stable network is the lifeblood of your operations. Therefore, give employees easy and mobile access to information relevant to your business. Everything should be readily available at their fingertips. At the same time, come up with a set of security measures to preserve data safety and thwart any hacker attempts. A high-quality VPN and good encryption methods are an essential part of the network arsenal. Also, it is a good idea to have all systems in one secure location. It has never been easier to handle time tracking in real-time and carry out effective employee monitoring. You can assess task and project progress, as well as individual and team contributions. After all, there are many great tools for monitoring computer activities that streamline management tasks, regardless of the psychical location of workers and executives. Everything people do leaves a digital trace and it is quite simple to identify slackers and under-performers. Often, this evaluation and monitoring system is linked to reward and motivation policies, which spur more productivity gains. Along similar lines, technology allows us to transcend the borders of space and time. More and more employees are seeking companies that provide remote and flexible work arrangements. Business owners are becoming aware that these perks attract top talent and boost retention rates. They also improve worker satisfaction and engagement, leading to higher level of productivity. So, there is really no need to tie people to one corner of the office or force them to use one piece of hardware. Many companies have already implemented bring-your-own-device policies and telecommuting opportunities. Good and open communication lays the groundwork for long-term success and fruitful business relationships. The digital revolution has reshaped the way we go about it. Namely, in this day and age, we have a myriad of channels, including instant messaging, apps like Skype, video conferencing, social media, etc. They almost eliminate the need for having offline meetings, which are a a huge waste of time. This digital transition is something that enables people to stay focused on tasks and improve their daily workflows. A collaboration software platform like Slack takes things a step further. In today’s business world, technology is a powerful vehicle for success. The question is not whether you need it, but how to make the most of its benefits. So, provide direct access to necessary information and protect it from outside threats. Keep tabs on projects and tasks to better coordinate different teams and departments. Optimize your decision making and resource allocation. Select tech tools tailored to your specific needs and industry requirements. Make an effort to unlock the full potential for productivity within your organization. Make no mistake: this is your chance to get to the forefront of your industry. Next articleMLM Vs Pyramid Scheme – What’s the Difference?